Here are the swatches, prices and reviews! Miracle Romance Star Power Prism Liquidliner retails at $24.70 each and is available in Brown and Black. I would say these eyeliners go on really light. Above swatches done in one swipe - the brown looks like a light brown and the black looks like a dark brown. 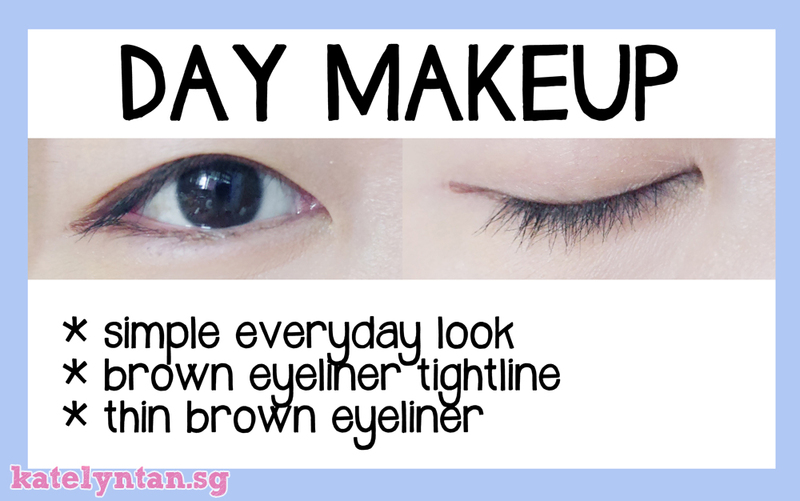 I think it might be cause Japanese prefer brown eyeliners as they give a more natural and not too harsh look! They do look more opaque when two coats are applied though! So I guess you have the option of having a lighter or darker look! The eyeliners are specially designed with a 0.1mm fine tip so you can actually draw a super thin line but they did feather a lil when I tried drawing a mega thin line. Drew a normal thin line on my eyelid and it went on very smoothly without feathering. I like how these eyeliners give a soft and natural look! Miracle Romance Star Power Prism Pencilliner in White retails at $18.50 each. It has a creamy texture and glides rather on well. 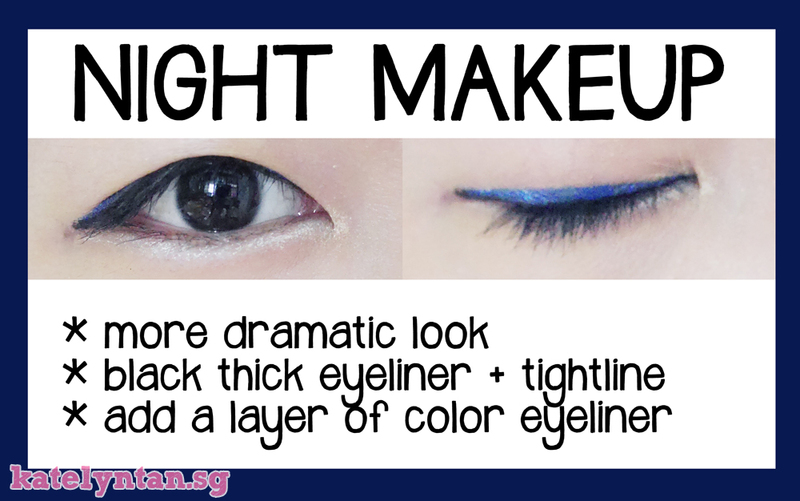 It is ideal for lining the waterline to open up your eyes or to be used to create “aegyo-sal”! Lady Oscar Liquid Eyeliner is available in Black and Royal Brown and retails at $20.50 each. They won champion at the Japan Beauty award @ Cosme for 2 years consecutively, 2010 & 2011! 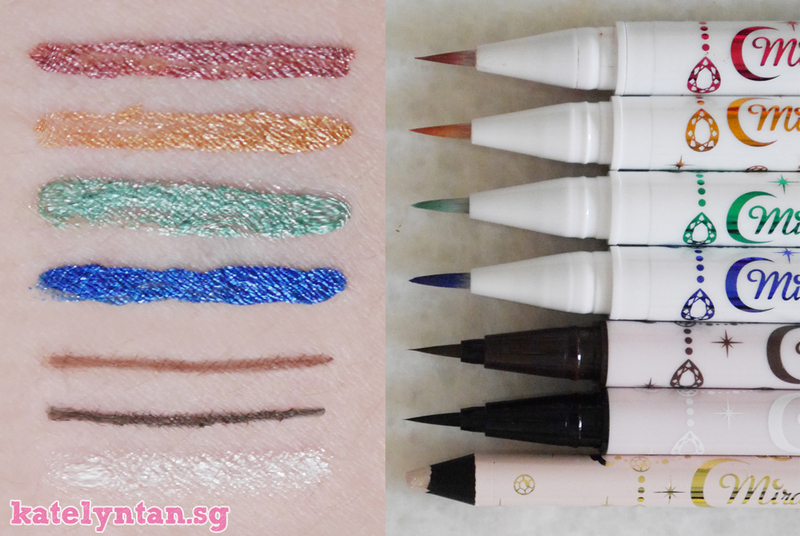 These eyeliners have a 0.1mm fine tip as well and they didn't feather as much as the Sailor Moon ones! Also, they go on much more pigmented! On top of that, they dry really fast! La Rose de Versailles Pencil Eyeliner is available in Black and Brown and retails at $22.60 each. I love this eyeliner! It's really smudge proof and waterproof. I ran my whole arm under running tap water and some were waterproof but the moment I rubbed my arm, all others melted except for this! This eyeliner was the only one that stayed sort of intact for quite a bit of rubbing though it did gradually fade away. It glides on really smoothly and the color payoff is really good, very pigmented. 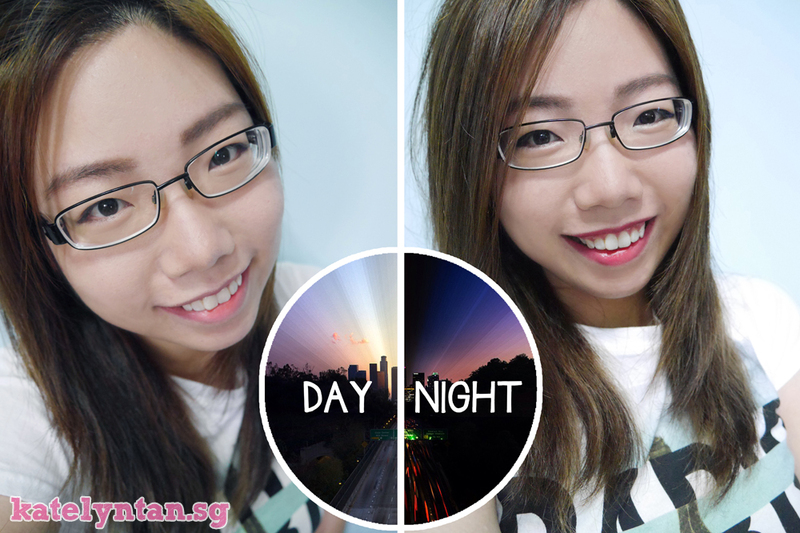 I played a lil did a morning to night makeup with these eyeliners! That's all for this post!